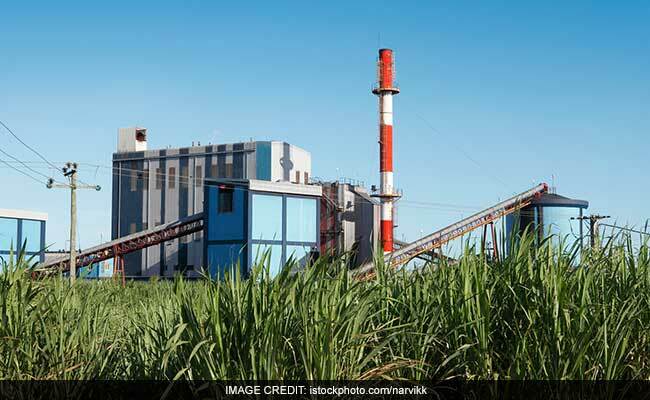 New Delhi: The National Green Tribunal has imposed an environment compensation (EC) of Rs 25 lakh on one of the country's largest sugar firms for extracting groundwater without permission and polluting the environment in Uttar Pradesh. The green panel has held that two units of Balrampur Chini Mills in Balrampur and Babhnan and Manakpur Chini Mills in Gonda districts of UP and Rauzagaon Chini Mills in Barabanki were discharging large quantity of waste water into the Ganga through the rivers Rapti and Ghaghra and withdrawing groundwater without obtaining permission from the Central Ground Water Authority. Balrampur Chini Mills is considered to be the second largest sugar mill in the country. The petitioner had sought a comprehensive study with regard to the impact of water and air pollution caused by the respondents and a detailed study with regard to lowering of the groundwater table in the area. Balrampur Chini Mills has 11 sugar factories in Uttar Pradesh, having an aggregate crushing capacity of 79,000 tonnes of sugarcane per day. It has three distilleries.